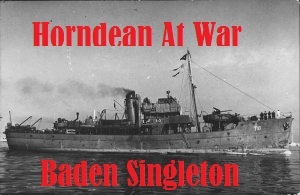 Today’s threat to Horndean is the onslaught of developers coming over this hill (which we look like we will largely defend ourselves against), but in War Time Britain was Horndean just a sleepy rural collection of villages? After asking about, to my surprise it most definitely was not. 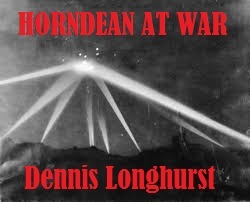 Dennis Longhurst, a current resident of Cowplain, was born in Horndean in 1932 and saw war time Horndean as a young boy and when old enough, a Cadet. In this remarkable article you are going to read about Bombings, Spies, Churchill, Doodlebug V1 Flying Bomb, Spitfires, Crashed German Planes, Blown Up Houses, POW’s, Lancaster Bombers, Tanks, Troops, Hidden Explosives, Montgomery, Eisenhower and so much more you will have to read it to believe it. 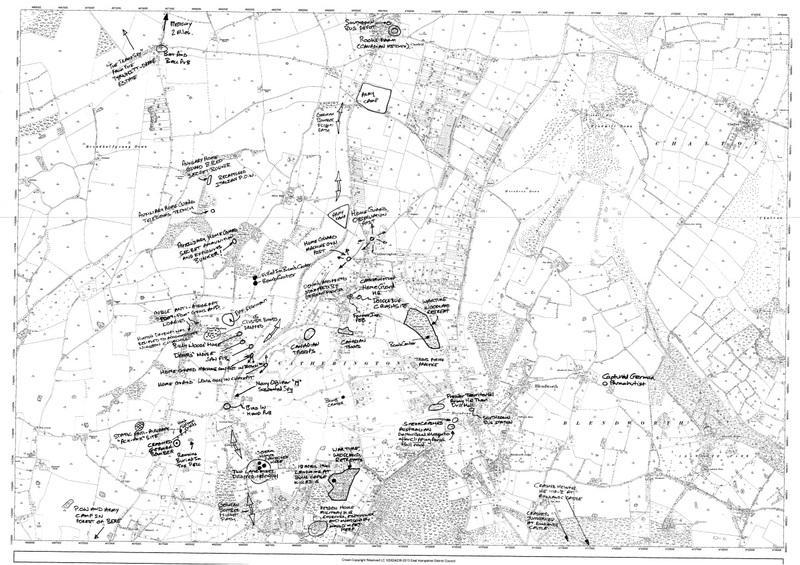 We have prepared a map of War Time Horndean to show the vast extent of the impact the War had on the villages. Dennis’ story is largely centred around Catherington and Lovedean. In 1932 the village centre in Horndean was a long way from the village centre in Catherington. It was ‘Over The Next Valley’. 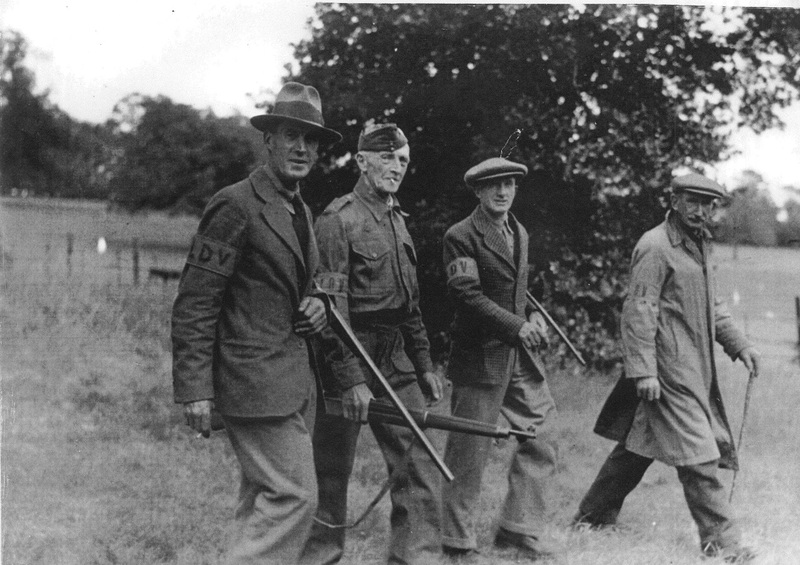 We would like very much to hear from anyone who can help with further photographs, names of the home guard men or further details of the War, especially from the villages of Horndean and Blendworth. The detail for much of this article has been researched and written by Sara Schillemore and Guy Shepherd. We would both welcome comments, please click on the ‘comment’ link at the top of this post. Thank you very much Dennis for sharing your story, it was a compelling read and very interesting. Many thanks to you Dennis, for your article. You have painted a very interesting, moving – and at times, humorous – account. 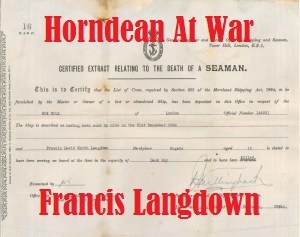 I have passed the details to my 3 children (now adults) who grew up in Horndean in the 70’s onwards. I just know they are going to enjoy reading the article too! Thank you again. Fascinating, we lived at Laundry Corner, Lovedean a while, before moving to Merchistoun Road. We used to have picnics in a bomb crater. Dennis is not on the Internet, if you email me at guy.shepherd@easthants.gov.uk with a note I will see a printed copy gets to him if you like. Best wishes, guy. Just found this online and my father is Dennis Longhurst so it was so nice to see these comments and want to thank you you all for taking the time to read this. He was very close friends with Peter Linkhorn and all his family. Do you know the origin of the name Laundry Corner? Hi, The building was originally a laundry for those who wished to have this done for them. Hence ‘laundry corner. Guy. Are you A Horndean Celebrity? A Great News Story? – I Think So! Karin – Village Agent – Here To help!